Eden Prairie, MN, and Denver, CO, May 5, 2010—Ingenix and Health Language, Inc. (HLI) have launched the Ingenix Global Code Manager, a solution that translates between the ICD-9 and ICD-10 (International Statistical Classification of Diseases and Related Health Problems 10th Revision) medical coding systems – a capability that will help health care organizations implement ICD-10 by October 1, 2013, as required by the Centers for Medicare and Medicaid Services (CMS). Not all health care organizations – or departments within organizations – will complete their transition to ICD-10 at the same time. As a result, for several years before and after the compliance deadline, systems that provide interoperability between ICD-9 and ICD-10 will be required to ensure accurate communications between stakeholders, support necessary edits to past medical claims and minimize interruptions to disease tracking and health outcomes studies. The Ingenix Global Code Manager features HLI’s Language Engine®, a high-performance translator that concurrently processes ICD-9 and ICD-10 coded transactions. Scaled to support both high and low claims volume, the Ingenix Global Code Manager provides clinical coding interpretations that map ICD-9 diagnoses and procedure codes to their equivalents in the new ICD-10 classification system, while supporting the pre-defined General Equivalence Mapping (GEM) standards, a set of ICD-9 and ICD-10 code translation dictionaries implemented by CMS. In addition to helping hospitals, health plans, government agencies and physician practices implement ICD-10, the Ingenix Global Code Manager lays the operational groundwork for future clinical and administrative initiatives that require standardization of coding and documentation, such as provider quality measurement and pay-for-performance programs. For example, the Ingenix Global Code Manager includes support for the Systematized Nomenclature of Medicine: Clinical Terms (SNOMED CT ®), a designated clinical documentation standard for electronic exchange of clinical health information across IT systems used by the U.S. Federal Government. 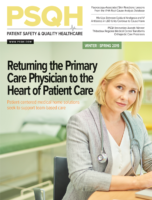 “Ingenix and HLI are providing health care organizations with the solution they need to move from planning their ICD-10 conversion to implementing the change,” said Marc Horowitz, senior vice president, HLI. The ICD-10 system expands diagnostic classifications from approximately 13,000 codes in ICD-9 – the current index – to over 68,000 codes in ICD-10. According to CMS, this more detailed classification system will facilitate better analysis of disease patterns, severity and treatment outcomes; simplify claims submissions, processing and payments; and support health care quality improvement efforts. The Ingenix Global Code Manager is available today. In addition, Ingenix Consulting provides implementation support for Ingenix Global Code Manager and can help health care organizations prepare their teams and systems for ICD-10. For more information, visit www.icd10prepared.com or call (800) 765-6709. Ingenix, a UnitedHealth Group (NYSE: UNH – News) company, is a leading provider of health information, technologies, consulting and services. Organizations, institutions, businesses and government agencies that comprise the health care system depend on Ingenix solutions and insights to improve their performance. Denver-based Health Language, Inc. (HLI) develops and delivers state-of-the-art software solutions that automatically incorporate medical vocabulary and coding standards into health care information technology (HCIT) applications. HLI’s Language Engine (LE) allows centralized access to medical terminology standards and generates mappings to create a common pool of standardized codes and concepts that enhance patient safety, facilitate clinical outcomes analysis and accelerate reimbursement. It also provides standards for modeling, storing, updating and distributing information consistently for interoperability between hospitals, regions and countries.